It’s not over yet, but a seven-year court battle by MEA over a tenured teacher’s termination has so far provided some clarity in what’s required of school districts before they make a layoff decision based on an educator’s evaluation. In March, the Michigan Supreme Court affirmed a lower court ruling that the case of Summer v. Southfield could go forward. 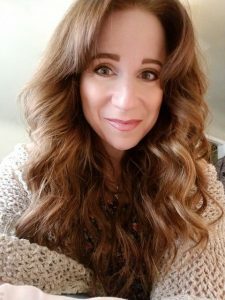 In June 2012, MEA member Meredith Summer was laid off from her job teaching middle school social studies after 13 years with Southfield Public Schools. The lawsuit brought by MEA alleges her “minimally effective” evaluation was tainted by the evaluator’s personal bias against her for filing a harassment complaint against a co-worker. The suit also alleges the district violated state law by not sharing timely feedback and providing opportunity to improve. “(A) system that observes teachers but gives no feedback and no opportunity to cure any deficiencies clearly fails to abide by these statutory requirements,” the unanimous Appeals Court panel said in its first ruling. The case has been remanded to the Circuit Court, which had dismissed it twice on a technicality. For Summer, the past seven years have felt like an unending ride on a merry-go-round. She now teaches fifth grade in Detroit Community School District, where a decision this year to give teachers steps on the salary schedule based on experience has helped to stabilize her financially. 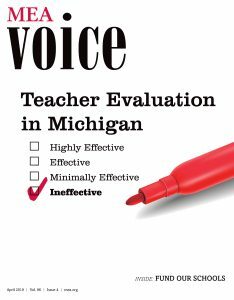 In another win for teachers, a U.S. District Court judge in Michigan found teachers have a property interest in their evaluation ratings and status as effective teachers. The ruling followed a lawsuit filed by MEA on behalf of six member plaintiffs from the Southfield Education Association. In his ruling, Judge David Lawson said because of their property interest, teachers in the state have a constitutional right to due process in personnel decisions involving reductions in force—meaning an adequate hearing is required before a school board makes a personnel decision. The case involved six teachers laid off after the district consolidated two high schools into one. The six teachers applied for positions in the consolidated school but were not awarded positions despite having evaluation ratings higher than some of the retained teachers. Who Will Listen To Educators?